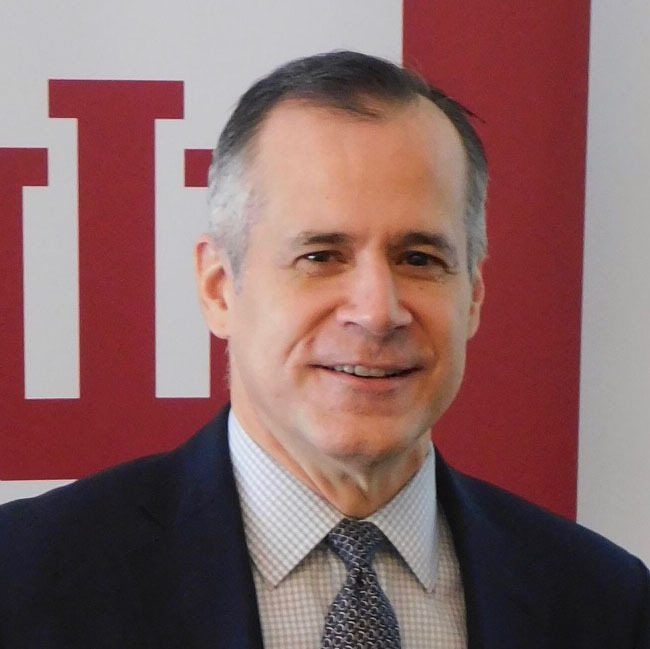 As assistant vice president for economic development in the IU Office of the Vice President for Engagement, David Gard is primarily responsible for implementing IU’s statewide economic development strategy to advance the Innovate Indiana initiative through collaboration across the university’s eight campuses. He created and manages the IU Council for Regional Engagement and Economic Development (CREED) as a means to add value by extending and leveraging the university’s resources and expertise to enhance economic engagement at the regional level. Gard led the university’s comprehensive efforts that culminated in IU earning designation as an Innovation and Economic Prosperity University as awarded by the Association of Public and Land-grant Universities (APLU). He currently serves as Secretary of the Commission on Innovation, Competitiveness, and Economic Prosperity (CICEP), APLU’s national higher education commission focused on advancing the collective role and impact of universities in economic engagement. Before joining IU’s Office of the Vice President for Engagement in December 2008, Gard served with the Indiana Economic Development Corporation (IEDC), the state’s lead agency for job creation, where he was deputy director of Small Business and Entrepreneurship and of Indiana’s 21st Century Research and Technology Fund. He managed the fund’s portfolio, which included more than $75 million invested in 60 Indiana ventures developing and commercializing innovative technologies. Gard’s broad background combines experience in the public and private sectors. He is also a former venture development manager and business performance consultant with Duke Energy and a former corporate trust officer with Fifth Third Bank. His areas of experience include strategic planning, economic development, engagement and outreach, business plan development and evaluation, cross-functional team leadership, public policy, and innovation/commercialization, among other areas. A Greenfield native, Gard earned a B.S. degree in business economics and public policy from the IU Kelley School of Business and began his career as a U.S. Navy Supply Corps officer in support of Operation Desert Storm. He later returned to Bloomington to earn an M.B.A. degree with a Certificate in Global Business Achievement from the Kelley School.